1999 - The change of the millenium is a time when individuals and nations reflect on past events and memories. To celebrate, the Royal Australian Mint has release a $10 bimetallic proof coin titled The Past. 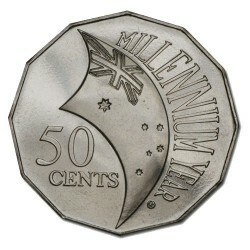 It is part of a three-year series, titled the Millenium Coin Series. 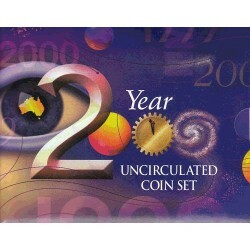 2000 - The passage of the millenium gives Australians reason to pause and assess the nation and its progress in the world. Following The Past coin struck in 19899, the Royal Australian Mint has produced the $10 bilmetallic coin titled The Present to mark this time of contemplation about modern Australia, and to celebrate our triumphs. 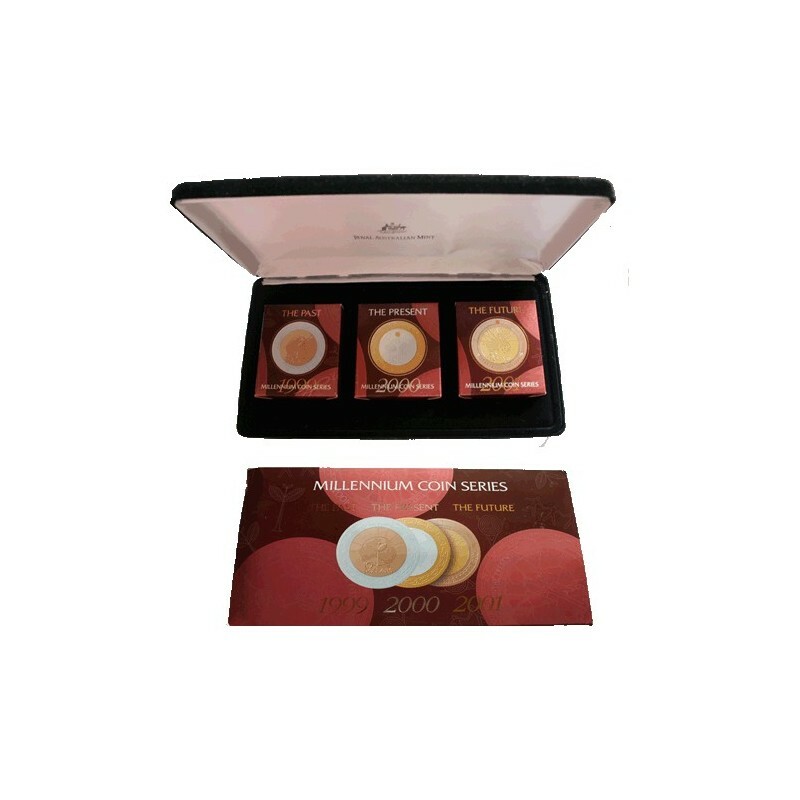 The coin is the second in a three-year series, to be followed by The Future. 2001 - The start of the new millenium is a time when Australians can look to the future with hope and confidence while pursuing their goals both individually and as a nation. 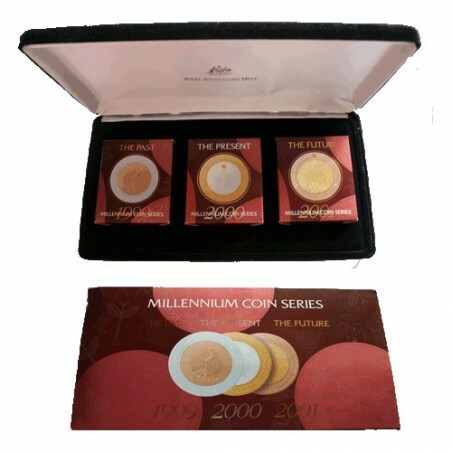 Following the release od The Past coin in 1999 and The Present coin in 2000, the Royal Australian Mint has produced this $10 bimetallic coin titled The Future to mark our future as a nation. This coin is the last in a three-year series spanning the change from the second to the third millennium. Outer Shipper has a few age marks, rest of set mint condition.